【WEATHERPROOF SPLASHPROOF RAINPROOF IPX6】- IPX6 certified to resist water spray and splash, even if encounters stem when shower or heavy rain, it is OK to use. NOTE:cannot withstand being partially or fully submerged. 【MULTIFUNTION】- 1. uilt-in mic for handsfree speakerphone calls from Smartphones and iPhones 2. built-in antenna for better signal reception, support auto scan the FM channels 3.Support MP3/WAV/WMA/FLAC/APE music format, capacity up to 32G 4. the speaker will automatically turn off when Bluetooth is disconnected. 【Support Aux in & Quicker/Effortless Bluetooth Connection】- Come with a 3.5mm aux cord, you can plug in directly to phone or other non-bluetooth or wireless devices. Besides, compared with Bluetooth 4.0, with faster connection speed, data transfer speed is increased by about 2.5 times more stable transmission and Bluetooth connection security. 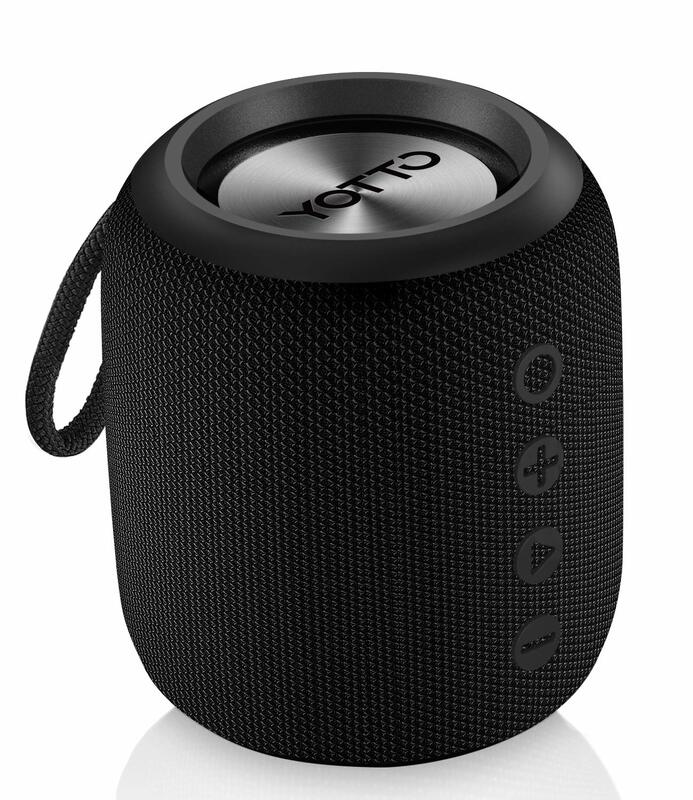 【NO RISK PURCHASE！】We are confident that you will love this Bluetooth speaker, but if you are not satisfied, just please DIRECTLY contact us for a full refund or free replacement. Have a try and you will definitely like it.